We do not have any intellectual property rights over the trademarks displayed and are not selling any products containing this(these) marks. If u want to know more about our products ,pls vist The Picture Of Medal Reading It Before Place An Order 1.Our products can be made in customized demands. Provided low labor cost and inexpensive materials, our factory pricing without second commission makes our products offered at very competitive prices. 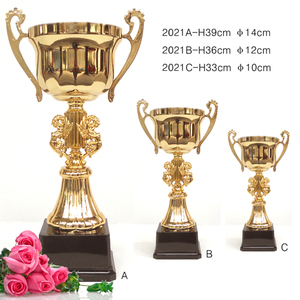 Alibaba.com offers 9,104 metal trophies and medals products. About 91% of these are metal crafts, 3% are crystal crafts, and 1% are sculptures. 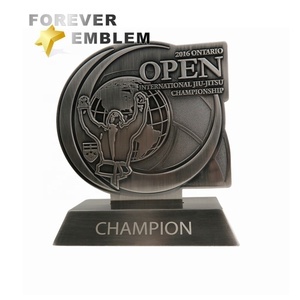 A wide variety of metal trophies and medals options are available to you, such as figurine, sculpture, and badge & emblem. You can also choose from sports, patriotism, and love. As well as from polished, carved, and painted. And whether metal trophies and medals is china, india, or europe. There are 9,165 metal trophies and medals suppliers, mainly located in Asia. The top supplying countries are China (Mainland), Taiwan, and India, which supply 99%, 1%, and 1% of metal trophies and medals respectively. 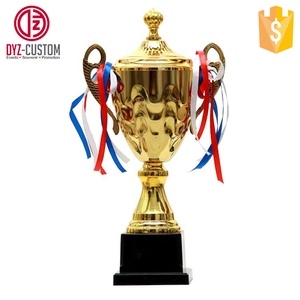 Metal trophies and medals products are most popular in North America, Western Europe, and Mid East. You can ensure product safety by selecting from certified suppliers, including 922 with Other, 318 with ISO9001, and 276 with BSCI certification.